The June quarter really demonstrated what White Rock Minerals (ASX:WRM) has to offer as it delivered encouraging geophysical and drilling results, and just as the new financial year ticked over the company attracted the interest of a major player in Sandfire Resources (ASX:SFR). Sandfire Resources knows what it takes to advance a project from drillbit to development and through to production as a result of its experience in developing the DeGrussa copper-gold project in Western Australia. Not surprisingly, the promising events that occurred towards the end of the quarter and into July prompted a substantial share price rally of 50%. The company had cash of $2 million as at June 30, 2018. Sandfire’s entry assisted the company in raising $2.5 million, and along with other capital management initiatives the company is well-placed to fund its extensive exploration program at the highly prospective Red Mountain Zinc-Silver-Lead-Gold VMS Project which has delivered exceptional zinc grades. These included 4.7 metres at 19.5% zinc, 7.8% lead, 466 g/t silver, 6.9 g/t gold and 1.5% copper for 49.7% zinc equivalent from circa 230 metres. During the quarter the company commenced extensive on-ground exploration activities at its Red Mountain project in Alaska. Field activities included simultaneous diamond drilling, ground CSAMT geophysics, geological reconnaissance mapping and surface geochemical sampling programs. Commenting on some of the highlights, managing director Matt Gill said, “We have had great success with the initial drilling in and around the two known deposits, yielding two of the best intersections seen on this field. “That drilling extended the high-grade Fosters and Discovery Lenses and highlighted the exceptional growth potential as that mineralisation remains open. “Using advanced mapping, geochem and geophysics techniques, never before applied to this VMS field, we are now testing away from the known deposits, to build-up our more regional knowledge base and to test the many co-incident geochemical and geophysical anomalies identified from historical and current information. “To date, we have mapped some 30 square kilometres of terrain, taken over 1,000 soil and rock samples, run over 24 line kilometres of geophysics and drilled 9 holes for 1,639 metres. Of course any further discovery is speculative and investors should seek professional financial advice if considering this stock for their portfolio. White Rock has identified multiple targets within four specific areas of its tenements and to appreciate the progress that the company has made it is best to examine the areas separately. The four exploration sites Finfeed.com will focus on are Dry Creek Deposit (Fosters Lens), Dry Creek Deposit (Discovery Lens), the West Tundra Deposit and Dry Creek South. At the Dry Creek deposit the first drill hole (DC18-76) at the Fosters zone targeted an infill position in the upper portion of the Resource and intersected a zone of massive to semi-massive sulphide. Assay results include 8.9 metres at 6.5% zinc, 2.7% lead, 124g/t silver, 0.7g/t gold and 0.2% copper for 12.7% zinc equivalent from the 3.9 metres. Drill hole DC18-77 was the first drill hole to test the down plunge extension of mineralisation at the Fosters lens. DC18-77 intersected two zones of semi-massive sulphide mineralisation with a lower zone returning good zinc, lead and gold grades, and exceptional silver mineralisation. Assay results included 4.3 metres at 4.8% zinc, 2.3% lead, 1,435 g/t silver, 2.2 g/t gold and 0.5% copper for 43.2% zinc equivalent, with the silver mineralisation being significantly high grade. Mineralisation remains open down dip and along strike from DC18-77. A third hole, DC18-77, also returned promising results of 17.2% zinc equivalent from 165 metres. However, there is still a lot of work to do here, so investors should continue to take a cautious approach when considering this stock for their portfolio. 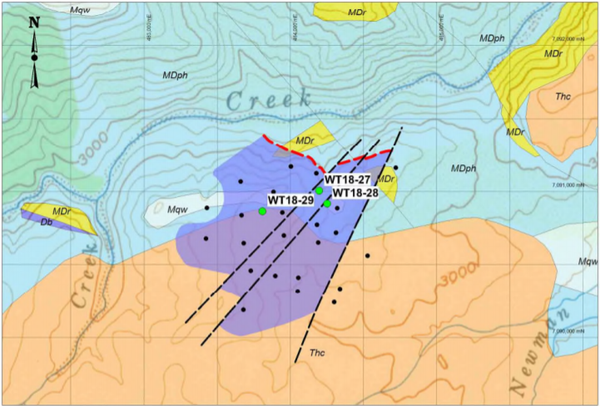 At Dry Creek, the first drill hole (DC18-79) at the Discovery zone targeted the down-dip extension of the Resource. Drilling intersected massive sulphide mineralisation and assay results included 4.7 metres at 19.5% zinc, 7.8% lead, 466 g/t silver, 6.9 g/t gold and 1.5% copper for 49.7% zinc equivalent (DC18-79) from 231.1 metres. The high grade gold with individual assays up to 0.9 metres at 25.4g/t gold is of real significance as by-product credits from associated mineralisation could substantially increase the economic returns from the project. Importantly, this hole is some 60 metres from the nearest hole (DC97-26) and mineralisation remains open down dip. At West Tundra the second drill hole (WT18-28) targeted an infill position in the centre of the Resource and intersected a zone of massive to semi-massive sulphide. Assay results included 3.5 metres at 15.1% zinc, 6.7% lead, 518 g/t silver, 2.1 g/t gold and 0.2% copper for 35.2% zinc equivalent from 60.6 metres, the best grade-thickness intersection for any drilling at West Tundra. This hole is some 75 metres from the nearest drill hole (WTF82-05). The first drill hole for the 2018 program outside the two known deposits at Dry Creek and West Tundra was drilled at Dry Creek South. DC18-78 targeted a massive sulphide horizon discovered by previous explorers to the south of the main Dry Creek deposit. DC18-78 targeted 55 metres down dip from narrow massive sulphide mineralisation intersected in the previous drilling. This included narrow zones of mineralisation with zinc grades in the order of 15%. The target horizon was intersected, but contained only semi-massive sulphides with lower grade than the earlier intersections up dip. During the quarter the focus was mainly on the Red Mountain Project. However, advancing the Mt Carrington gold and silver project in New South Wales towards production remains a key priority as it has the potential to generate substantial cash flow. 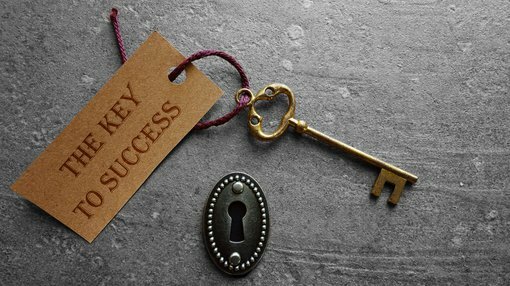 The prefeasibility study (PFS) confirmed the technical and financial viability of the initial project development and provides a very strong rationale to advance the project through a Definitive Feasibility Study (DFS) towards development. During the quarter the company continued to gather base line environmental data. The silver dominant Mineral Resource containing some 8.3 million ounces in the Indicated Category is to be the subject of further mineralogy studies, metallurgical test work and concentrate sales discussions. Management is approaching the project with a ‘gold first’ strategy, and mining of the silver resources constitutes the second stage of the Mt Carrington project.